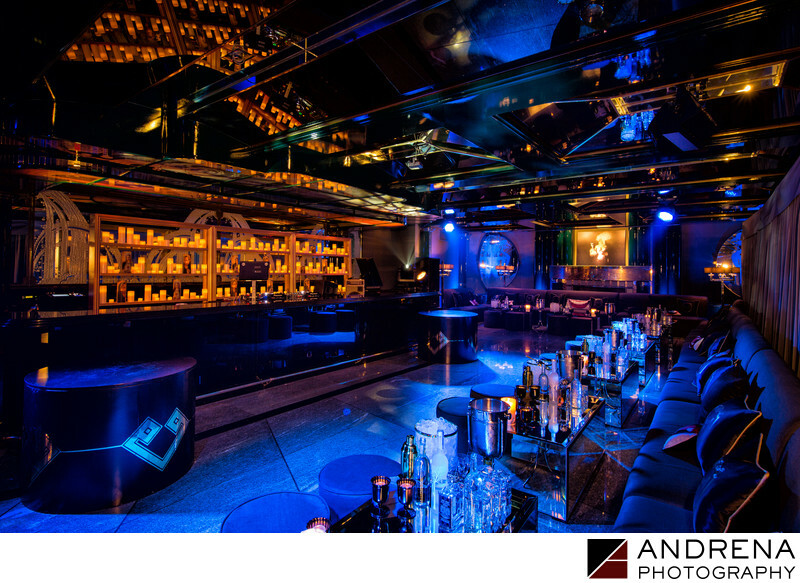 When Los Angeles event organizers take the time and trouble to set up a VIP lounge, the photographers in charge of documenting the event must know how to photograph their efforts properly. As experienced event photographers, we know that shooting decor properly involves tripods, time exposures and light painting. For this after-hours lounge, our challenge was showing the blue and amber of the colors in the room. Without light painting, this image would not have worked. We are experts at making your party decor come alive.